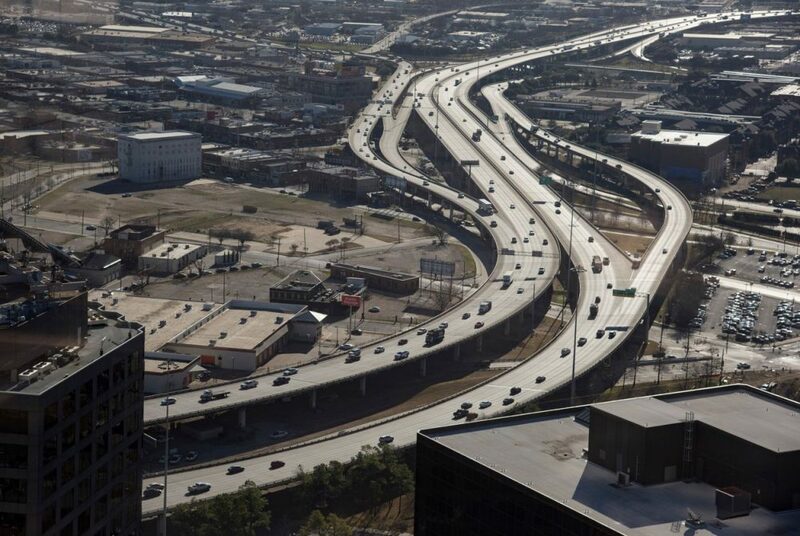 Interstate 345 in Dallas connects two major highways and separates downtown Dallas from the Deep Ellum neighborhood. 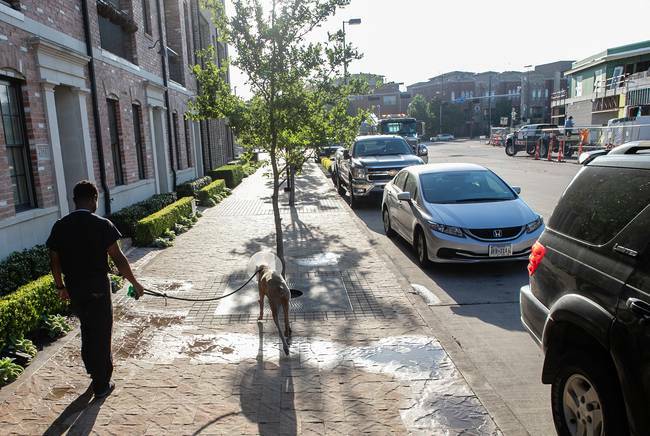 A man walks his dog near the farmers market in downtown Dallas in June 2018. 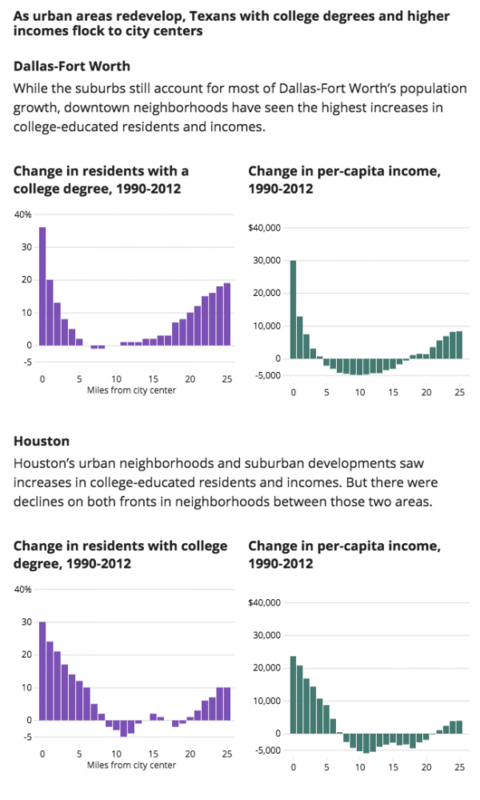 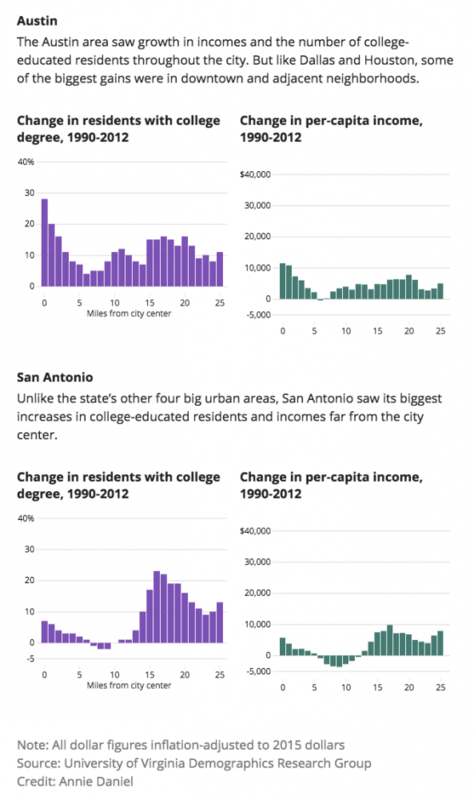 The neighborhood has driven much of the population growth in the central business district in recent years. 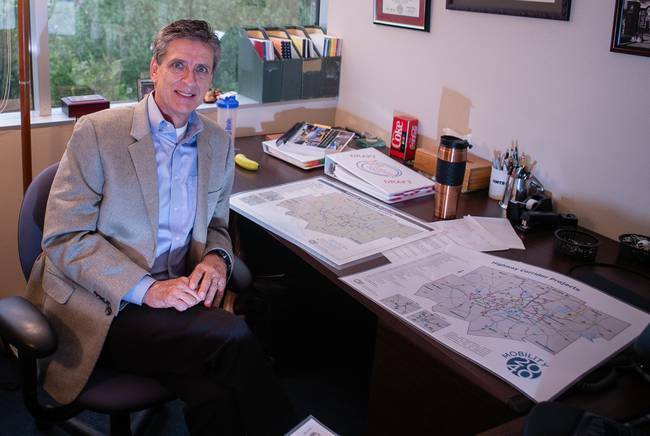 Kevin Feldt, a program manager for the North Central Texas Council of Governments, in his Arlington office where he works on transportation plans for the Dallas-Fort Worth area. 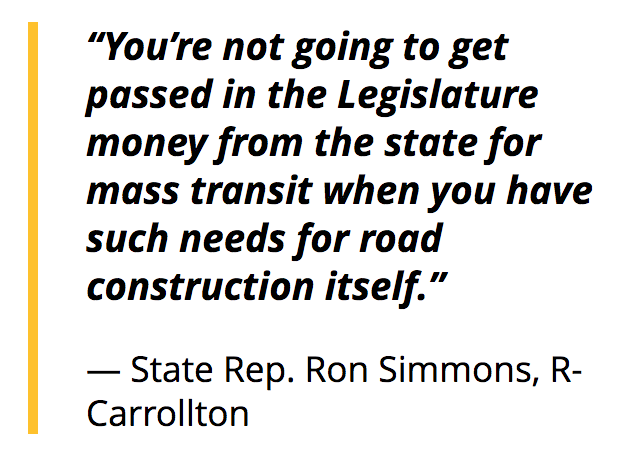 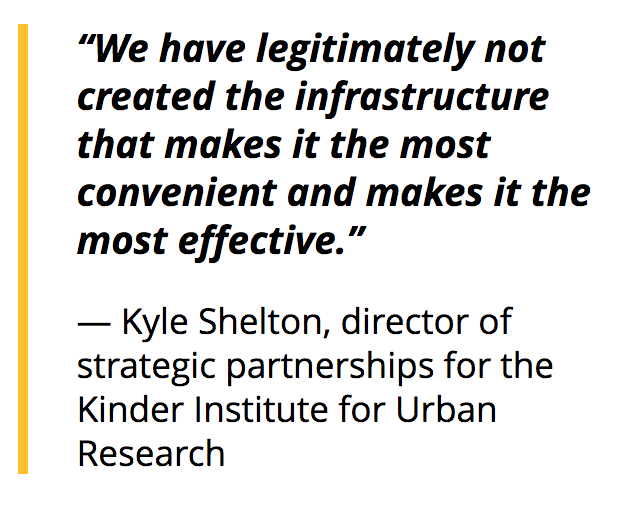 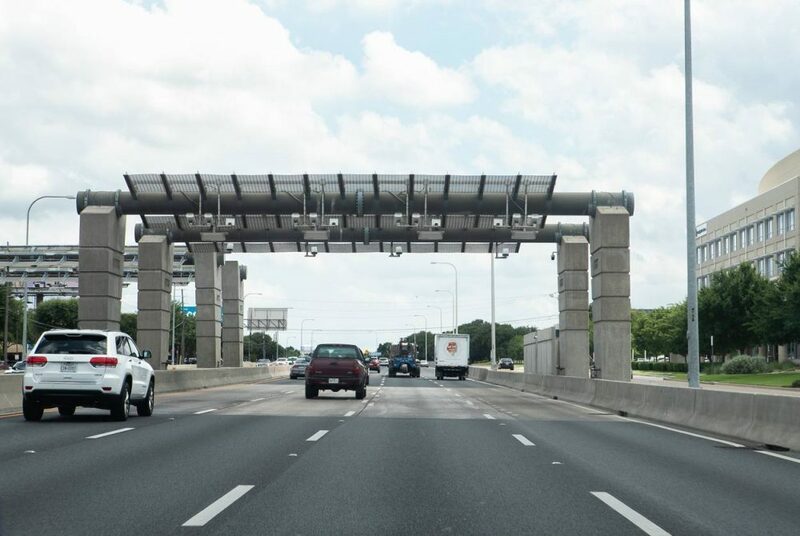 Since the Dallas North Tollway has expanded farther north into Collin County, once sleepy farm towns have ballooned in population and turned into suburbs that draw major employers. 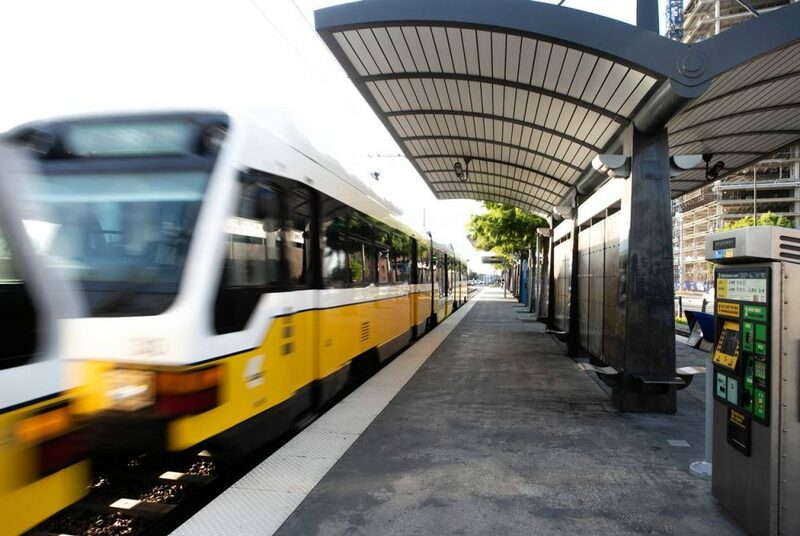 A Dallas Area Rapid Transit light-rail train pulls out of the Deep Ellum Station in Dallas in June 2018.